Why do you race? To meet new and interesting people, spend time outside and constantly learn how to get the most out of myself and see others do the same. How did you come to AR? After years of marathons, triathlons and other point to point endurance pursuits, I tried AR and discovered a sport that required free thinking, critical analysis and teamwork. It’s a blast! How did you come to THT? My brother invited me to a work out session with a couple of guys that he met through his church. We met in the dark at 6am on a cold Fall morning. We rode hard on mountain bikes for 2 hours, ran for another two and then got our bikes again and finished with another two hour ride. Throughout the event, everyone got tired hungry and cold. But, they had great attitudes. I loved the lack of whining! I was hooked. What do you like about THT? Why do you stay? The people. Positive attitudes, positive outlooks, and the desire to take on any outside actively, anywhere at any time. Something you’ve learned through AR that you take with you beyond the race course? Patience and full acceptance of others to include their ups, downs, strengths and weaknesses. One minute you might be the strongest person on the team and next minute you might be getting dragged behind someone while trying to keep conscious. You just never know. It’s a full life experience in one race. What does the future hold for you? More AR racing at higher levels and eventually death. Specialty? Despite a reputation of bringing bad luck consequences to teammates (I’ve been called the “Bermuda Briangle”) to include poisonous snakebites, several broken bones and occasional stitches, I’m actually somewhat of a good luck charm. Even though we’ve all had our physical hindrances, we’ve all manage to escape any real tragedies. In time I predict I will be known as the team’s lucky rabbit’s foot. Favorite piece of gear? Although it’s aging, the LaFuma Raid 20 AR pack. It’s light with HUGE waist pockets that are easily accessible on the move. Favorite piece of sponsored gear? Has to be my Specialized Carbon Expert Stumpjumper kitted out with Stan’s Arch 29ers rims that I just made tubeless with my Stan’s No Tubes kit. Just went to this hard tail and I’m loving it. Favorite race/event that you’ve participated in and why? My God, there are so many. 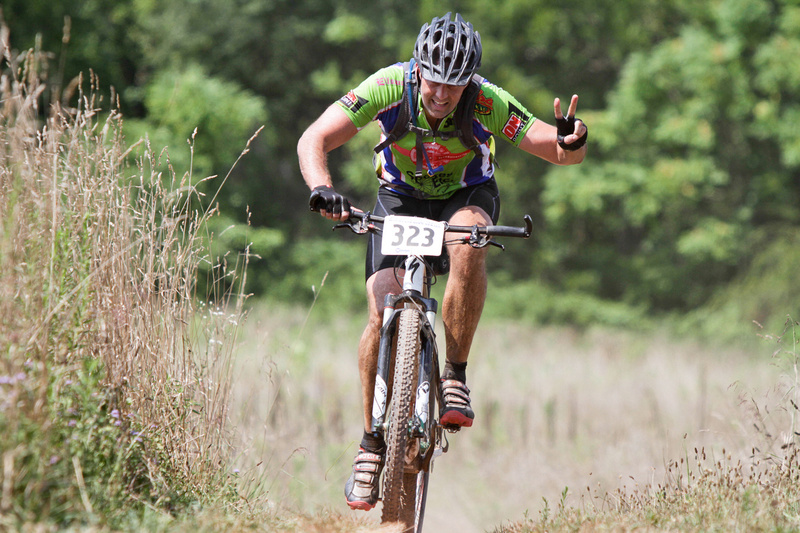 I think it has to be my first 24 hour race several years ago at Wild and Wonderful. We had bonks. We had middle of the night nav errors. We had sleep monsters attacking while biking at 4am. But at dawn, through a streak of brilliance by our navigator, Bryce, we found a route that put us in contention for the lead. Aaron, Bryce, Andi and I placed 4th and couldn’t have been more elated. Favorite quote? Whoever fights monsters should see to it that in the process he does not become a monster. And when you look long into an abyss, the abyss also looks into you. – Friedrich Nietzsche, Beyond Good and Evil.